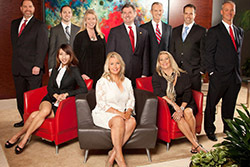 For wealth management services, call us today! If retirement is a reality or on the horizon, it’s important to make sure you’re set for pursuing your financial goals. The qualified team at Midland, Texas’ Elite Financial Management has the expertise to help you with your wealth management strategy and make the right retirement planning decisions. Led by William (Bill) Dendy, JD, MBA, CPA, PFS, CLU®, and CFP® practitioner, the professionals at Elite Financial Management can provide clients with comprehensive financial planning, 401k rollovers, insurance planning, estate planning, retirement planning and tax planning. 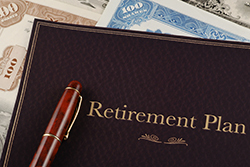 For retirement planning assistance, contact the professionals with Elite Financial Management today! Elite Financial Management holds Retirement Planning Today® workshops each fall and spring for adults between the ages of 50 and 70 to gain the educational information they need to make wise retirement decisions. The educational course covers eight topics of importance for retirees — life planning for retirement, retirement needs and expenses, retirement roadblocks and mistakes, retirement income sources, retirement plan distributions, investments, risk management and asset protection, and estate planning. In straightforward language, the class explains time-tested strategies that help you make informed financial decisions. Whether your objective is to build a nest egg, protect your assets or preserve your lifestyle throughout retirement, Retirement Planning Today® helps you plan your future with confidence. 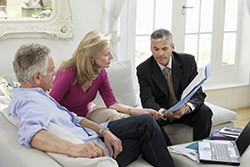 Retirement Planning Today® contains valuable information for everyone. Financial issues pertaining to the self-employed as well as employees of corporations and government agencies are all discussed. The course is designed to teach individuals how to build wealth and align assets with values to accomplish life goals. Whether you plan to retire 20 years from now or have recently retired, the information you learn through Retirement Planning Today® can deliver rewards throughout your lifetime. Our certified financial consultants can assist you with a wide range of services including retirement planning, estate planning, insurance planning, and more. We have years of experience that we use to understand your specific needs and provide you with the best solutions. We also hold courses where you are made aware of basic information pertaining to financial management. If you are looking for financial consultants in the Midland, Texas area, get in touch with us today. Our team of financial consultants can help your business grow and prosper. We serve businesses in Midland, Texas and the surrounding areas. Tax return preparation and other financial work can be extremely time-consuming. This is where we can help you save time and money with our host of services. Our services can enable you to run your business in a more efficient way, reduce expenses, and more. If you are interested in our services, our financial consultants would be happy to assist you. 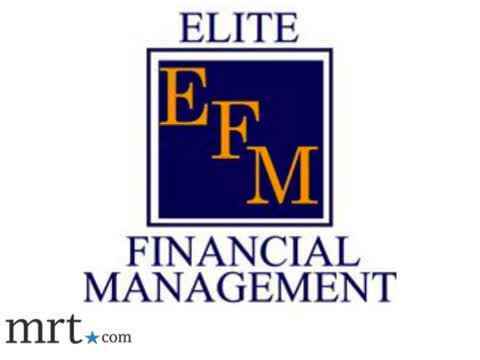 As skilled financial consultants, the team at Elite Financial Management can assist you with taxes, real estate purchases, and insurance. 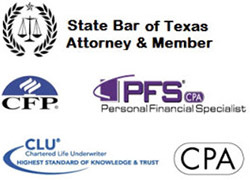 We specialize in tax return preparation and processing for individuals in Midland, Texas. We promise fast, accurate, and trustworthy service for each customer. When you call us, you'll be able to speak with one of our professional financial consultants, all of whom are highly trained to work with you and offer you the best solutions possible. Dendy personally teaches the comprehensive course, which helps you see the ‘big picture’ and examines how many aspects of personal finance work together to create an integrated retirement plan. The course includes a 224-page textbook that helps you follow along with the classroom presentation. All classroom attendees have the opportunity to receive a complimentary financial consultation with Dendy following completion of the Retirement Planning Today® workshop. Elite Financial Management works with LPL Financial, the largest independent broker/dealer supporting more than 14,000 financial consultants. LPL Financial provides diversified financial services and offers cutting edge technology and support. Elite Financial Management meets with clients at its offices in Midland, Dallas, Plano, Houston and San Angelo, and also remotely using Skype and teleconference technologies. We are your financial consultants, providing you with trustworthy wealth management services in Midland, Texas. Call today to learn more! Investment Planning - Employee Stock Options, Risk Management, Manager Selection, Customized Portfolio, Global Perspective, Advisory Program**, Alternative Investments, Asset Allocation, Concentrated Position, Rebalancing Strategies. Retirement Planning - SEP, Roth IRA, Annuities, Traditional IRA, 401k, Defined Benefit Plan, 403b, Simple IRA, Profit Sharing Plan. Education Planning - Coverdell Education Savings Account, Financial Aid Guidance, Custodial Account (UTMA/UGMA), 529 Prepaid Tuition Plan, Zero Coupon Muni Bond, 529 College Savings Plan, Savings Bond. Insurance Planning - Disability, Whole Life, Long-Term Care (Partnership in C), Universal Life, Fixed Annuity, Term Life, Variable Annuity, Variable Life. Estate Planning - Dynasty Trust*, Revocable Living Trust*, Special Needs Trust*, Charitable Trust*, Testamentary Trust*, Gifting & Wealth Transfer Strategies, Credit Shelter Trust*, Beneficiary Designation, Irrevocable Life Insurance Trust*, Transfer on Death (TOD). *LPL Financial Representatives offer access to Trust Services through The Private Trust Company N.A., an affiliate of LPL Financial. **Advisory services offered through LPL Financial, a Registered Investment Advisor.